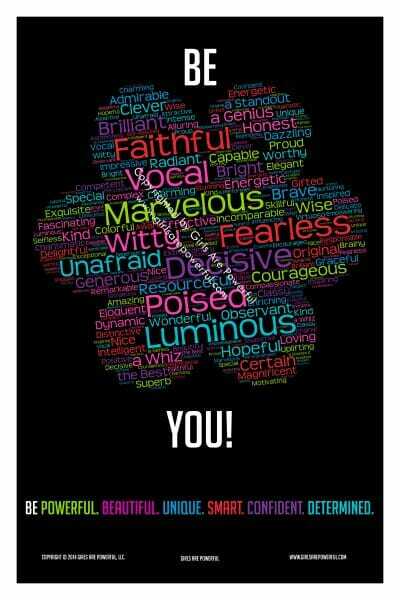 The Girls Are Powerful Word Clings are perfect for the girl or young women in your life. Boost confidence, reassurance, and self love/worth with these inspirational and motivational quoted word clings. 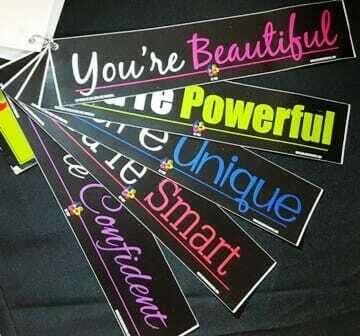 You can get all of these inspiration word clings with the 6-pack Girls Are Powerful Word Clings. In the 6-pack set you will receive (1) You’re Beautiful, (1) You’re Powerful, (1) You’re Confident, (1) You’re Determined, (1) You’re Smart, and (1) You’re Unique.